KARACHI: Askari Bank has signed an agreement with Mastercard, a leading technology company in the global payments industry, to offer an enhanced customer experience for the growing base of Askari Mastercard cardholders by strengthening its existing range of services with a number of value-added benefits. The agreement was signed at Mastercard’s regional headquarters in Dubai, United Arab Emirates, by Rashid Nawaz Tipu, Group Head Branch Banking, Askari Bank and Khalid Elgibali, Division President, Middle East and North Africa, Mastercard. As part of the collaboration, Askari Bank and Mastercard will invest heavily in training and development, with a sharp focus on greater exchange of knowledge and technical know-how as well as portfolio management and product feature development to better reach the bank’s customers. 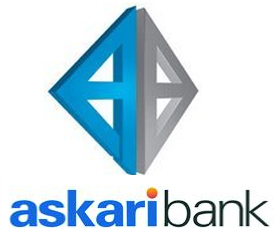 Askari Bank was the first bank in Pakistan to introduce ‘Mastercard’ cards in 1995, and currently offers its customers a wide range of Mastercard products including World, Platinum, Gold, Classic and Corporate cards.